Classic carpenter jeans are designed to give you room to move. Squat, stretch and reach comfortably in a pair of Wrangler Riggs Men's Bark Brown 3W020 BR Cotton Ripstop Carpenter Jeans. Like all Wrangler jeans, these are made from durable materials. Depend on 1 ... (see full details) (see specifications) #WRG3W020BR. Classic carpenter jeans are designed to give you room to move. Squat, stretch and reach comfortably in a pair of Wrangler Riggs Men's Bark Brown 3W020 BR Cotton Ripstop Carpenter Jeans. Like all Wrangler jeans, these are made from durable materials. Depend on 10-ounce 100% cotton ripstop fabric to provide comfort and breathability. Since ripstop fabric has a special weave that's designed to prevent--you guessed it--ripping, count on these pants for longlasting wear. Triple-needle stitching, a sturdy #5YKK zipper, and 1/4-inch by 2 3/4-inch belt loops beef up the durability factor even more. Wrangler's Riggs styles provide more room to move than other styles of carpenter jeans with their Room2Move fit. It provides an improved fit in the seat, thigh, knee and bottom leg opening. In addition, an action gusset crotch allows ease of movement to prevent binding when you squat, twist, and bend. When you are looking for freedom of movement, the high rise and relaxed fit of these pants are sure to please. Built for work, these Wrangler carpenter pants have pockets plenty of storage -- an oversized watch pocket, roomy 13-inch deep front pockets with 7.25-ounce white pocketing, and a patented tape measure reinforcement on the front pocket, so you'll keep that tape measure handy without wearing out the pocket. Around back, the pockets reinforced at stress areas and lined with 1000-Denier Cordura fabric. There's an extra tool pocket on the left leg, and of course, a hammer loop on the right side of these carpenter jeans. Offered here in Wrangler's bark color, a medium shade of brown, these versatile pants will go with just about anything in your closet and are ideal for both work and casual wear. When it comes to workwear you can count on for comfort, durability, and style, Riggs Workwear is the way to go. Put yourself in these Wrangler Riggs Men's Bark Brown 3W020 BR Cotton Ripstop Carpenter Jeans. We have them right here at Working Person's Store. Order today! Loose and comfortable. I used to lift weights a little and my quads are a little big. Not huge now but regular jeans are tight when I squat down. These pants offer the extra room for working without being over bulky. They are very durable. They're not going to wear out any time soon. They say ripstop but I can't really vouch for that since I've never torn pair. I love the leather patch on the pocket. My knife has a good place to sit without wearing out the pants. I've had several people plot it and wished they had one. Been wearing Levis all my life for work. 550 relaxed jeans now as I am 59 But they became too expensive and the quality is not good any more. They are made in different countries and are different every time you go and buy them. So I tried these and was surprised at how good the quality is and how well they fit me. Still have the first pair and just ordered 3 more for work. Finally found new work pants for life. Ordered my first pair last fall and I really like the fit and feel of these pants. With the ripstop fabric being lighter than denim, they are durable without being heavy or hot. The leather patch is great place for my tape measure. I don't know how many denim jeans I've worn out right there. The cut is full enough to squat and still be comfortable without binding. The contrasting trim on rear pockets adds both strength and style. I've ordered 2 more pair. Just waiting for them to arrive. This is an amazing lightweight pant that is hard to rip. Works great for my husband in the summertime. I would recommend these pants for anyone. My husband is in and out of the vehicle multiple times a day and never complains of being pinched in unpleasant places. He often recommends the Riggs wear line of clothes to people. 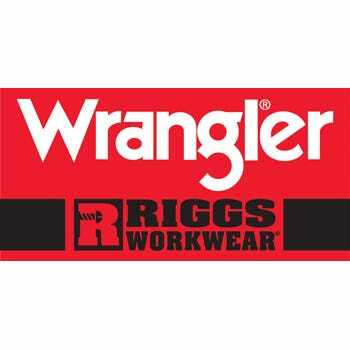 I have been buying wrangler Riggs ripstop workwear for more than 8 years I think that says it all. I currently have about 5 pair in my dresser pants drawer at this time. I also like the Wrangler Riggs jeans for working in colder weather. Wrangler Riggs Jeans: Men's Bark Brown 3W020 BR Cotton Ripstop Carpenter Jeans is being added to your cart.